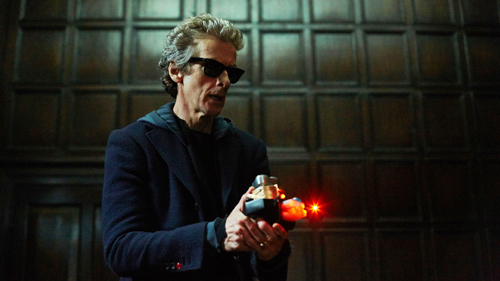 This wasn't really a conclusion to last week's "The Girl Who Died"; it was more a fresh episode with a common character in Ashildr (Maisie Williams), the Viking villager whom The Doctor (Peter Capaldi) turned immortal with alien technology. It wasn't even written by the same person (Catherine Tregenna took over from Jamie Mathieson), and Ashildr was practically a different character; someone who may not have aged, but has become hardened to life over the aeons. My review in a nutshell: I didn't like this episode very much. It seemed to only exist for two reasons: to provoke conversation about the nature of immortality and its many downsides (watching the people you love die, making you lose sight of the value in everyday things) between The Doctor and Ashildr, and to further setup Ashildr as an important figure in the Doctor Who mythos. After all, by the end of this story she's taken it upon herself to become a sort of Patron Saint of Former Companions—seen lurking in the background of a photo Clara (Jenna Coleman) took in the schoolyard. Presumably this means Ashildr has met all the other companions who no longer travel with The Doctor? Or those who didn't die and remained on Earth, anyway. It was a little vague what Ashildr believes her role to be, but there was blunt foreshadowing of Clara meeting her demise before Series 9's over—which isn't even a surprise, because the BBC have already announced Coleman's leaving this year. I'll miss Jenna once she goes, that's for sure. Clara only appeared in the very last scene of "The Woman Who Lived", and yet her absence was keenly felt. 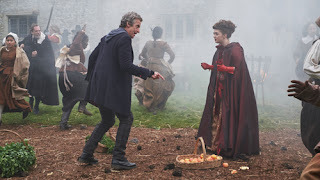 I thought Williams would be a great 'temporary companion', but Ashildr continued to be a rather dull character that Williams didn't have much fun with. 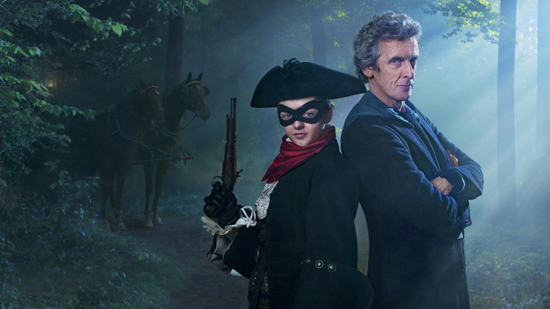 And considering the popular Game of Thrones actress spent much of this story dressed as masked highwayman 'The Nightmare', and there were comical flashbacks to Ashildr faking her many deaths throughout history, that was a surprise. "The Woman Who Lived" was unfortunately a flat episode with only a few lively sequences (that often felt shoehorned into the narrative). 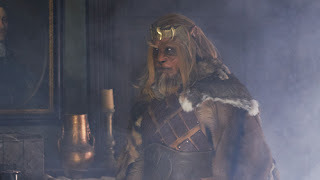 It tried to compensate for being very "talky" with daftness like Ashildr befriending a fire-breathing leonine alien (Ariyon Bakare) who's deceiving her with an empty promise of going off-world together. It also expected us to care about Rufus Hound playing a bad comedian called Sam Swift—complete with intentionally weak stand-up material before his public hanging. The only things I liked about "The Woman Who Lived" were some of its poetic musings about living forever, as you're forced to constantly restart your life whenever your longevity becomes noticeable. There were some touching exchanges between Ashildr and The Doctor as they bonded over a very particular kind of loneliness they both know. However, some interesting musings on mortality vs. immortality weren't enough to compensate for many other shortfalls. Ex-Torchwood writer Catherine Tregenna is a welcome female voice on the show, but this wasn't the best Who debut.